Birgit Smith, left, wife of Sgt. 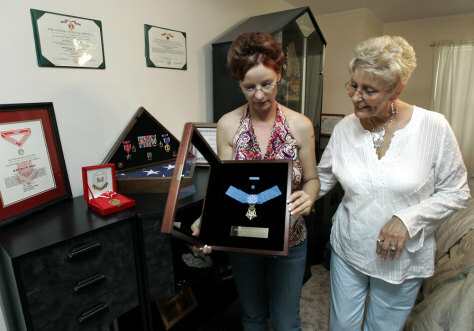 Paul Ray Smith, and Paul's mother Janice Pvirre look at his Congressional Medal of Honor. Sgt. Smith was killed April 4, 2003, in Iraq.